The study included 4,573 students at middle and high schools across the country. In the 2009-2010 and 2010-2011 school years, researchers randomly assigned the students in each school to similar math courses--some were taught by TFA teachers, and others or by teachers who entered teaching through traditional or other, less selective alternative programs. The students with TFA teachers performed better on end-of-year exams than their peers in similar courses taught by other teachers. The bump in their test scores is equivalent to an additional 2.6 months of school for the average student nationwide. Only 23 percent of teachers from traditional or less-selective certification programs graduated from a selective college or university, while 81 percent of TFA teachers did. 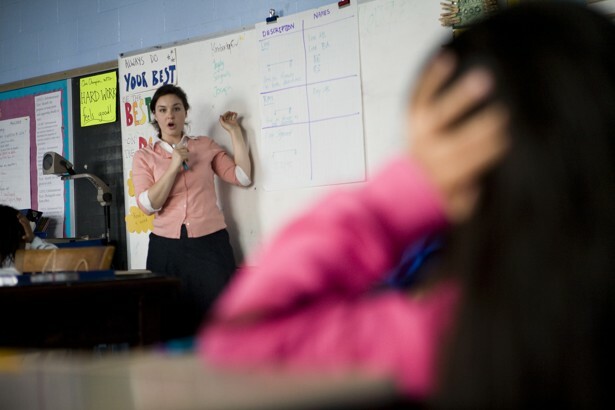 And although the TFA teachers were less likely to have majored or minored in math, they scored significantly higher on a test of math knowledge than their teacher counterparts.